I’m always looking for more materials that work on conversation! If you do too, read on! Maybe this packet is what you’re looking for! It imitates natural conversation while providing a visual and something tangible to help visualize the flow of conversation! 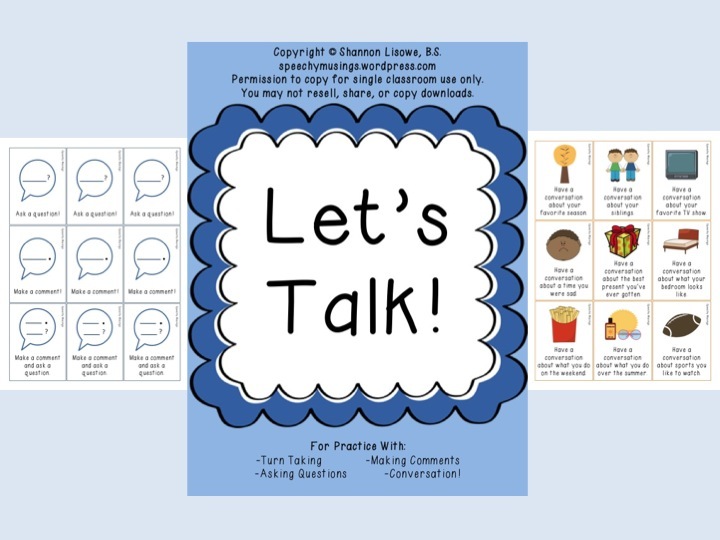 It provides practice asking questions, making comments, taking turns, and having a conversation about a variety of topics! What does this game include? 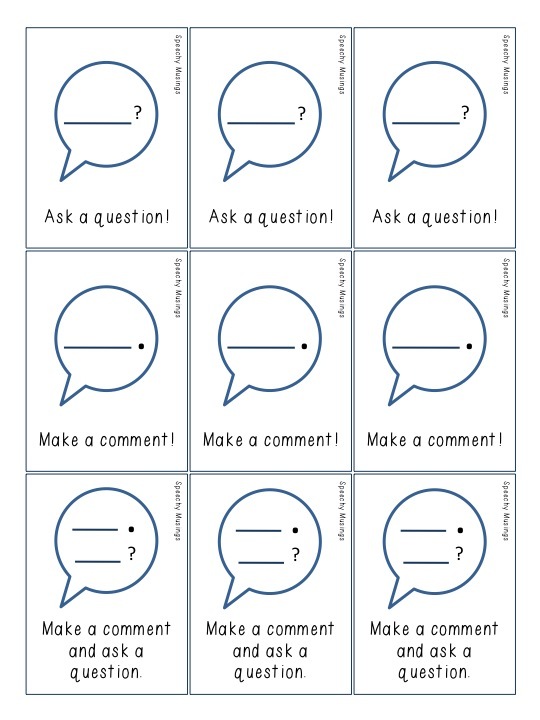 Make two piles of cards: one for orange cards, one for blue conversation topic cards. Have the dealer shuffle 6 blue cards to each player and flip over one orange (topic) card. Question: What season do you like? Two Comments: I love summer. My family always goes to the beach. Comment + Question: I love going to the beach. Have you ever gone to the beach? Play/conversation continues in a clockwise fashion. The next player should lay down a blue card and respond to the first player appropriately. If a player gets stuck or responds inappropriately, they have to draw another blue card from the pile and their turn is over. The first person to get rid of their hand wins! If this sounds like something you could use, head on over to my TpT Store here to check it out! 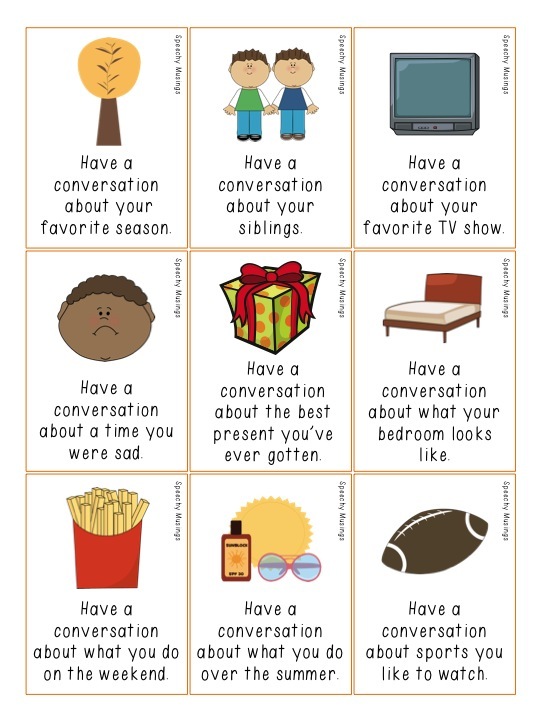 This entry was posted in Materials and tagged conversation, materials, pragmatics, social skills, TPT store by Shannon. Bookmark the permalink.